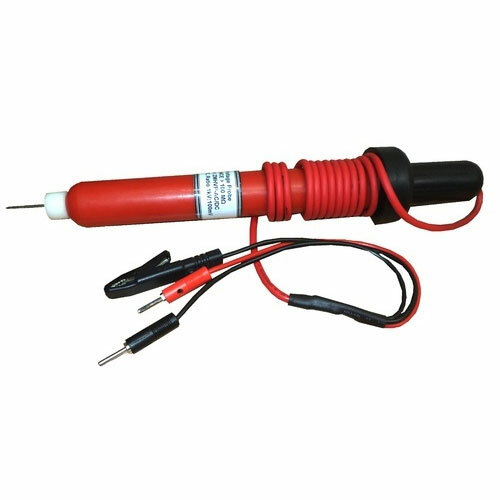 AC /DC High Voltage Measurement probe alongwith handheld Digital multimeter is an essential combination to measure output of High Voltage Transformers, High Voltage Testers, High Voltage Power Supplies etc. The attenuation ratio is sufficient and HV can be sensed with better resolution. The output accuracies for both DC & AC HV measurements are excellent. Probe has sufficient length to ensure safety of the user from HV. 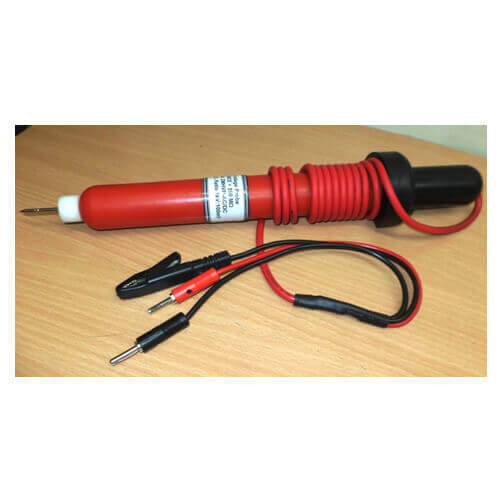 AC /DC High Voltage Measurement probe coupled with handheld Digital Multimeter is essential to measure the output of High Voltage Testers, High Voltage Power Supplies etc. The output ratio is reasonably sufficient and the output accuracies for both DC-AC are excellent .